Winter 2017 in Proserpine, Queensland it's when the sugarcane is burnt in this area. We happened to be heading to the caravan park from Airlie Beach when we came across a farmer doing his job. I have never seen that. Well, I did not even know that that was done. It's done in some areas of Australia. I love the birds in picture no.2. A bit on hot side! Beautiful images M-w. Many birds flying about in readiness to catch a snake or rat to eat. Why the sugarcane was burnt like this? Burdekin is area we were in. 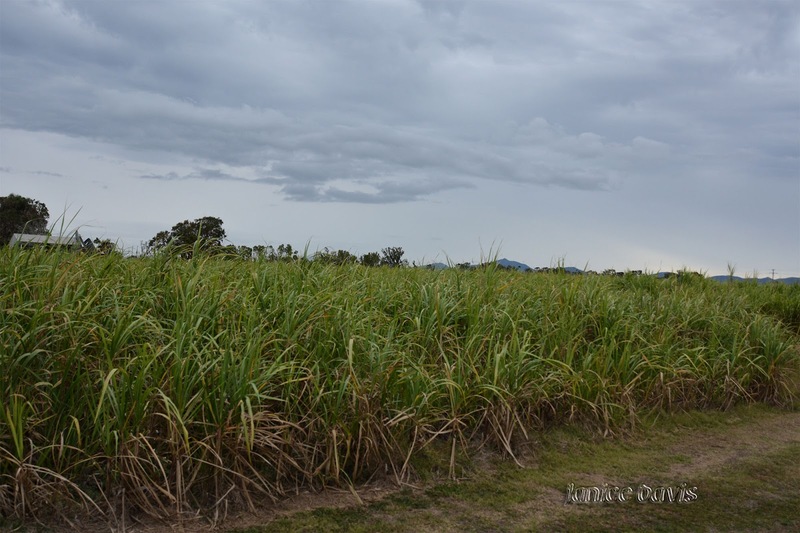 The Burdekin still burns sugarcane before harvesting because an abundance of water in the region makes the cane too leafy to cut. 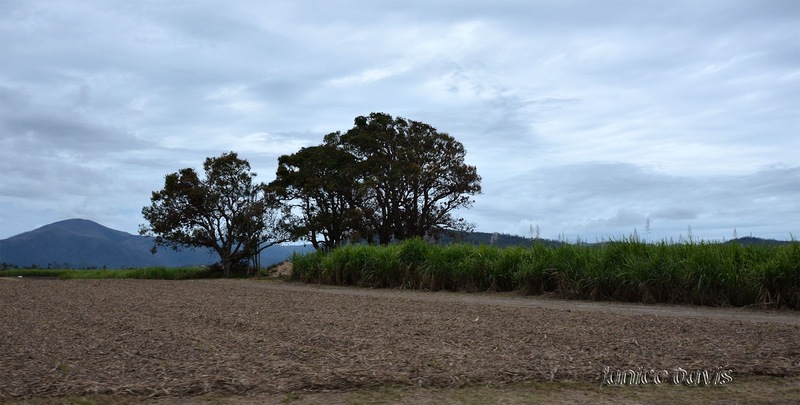 "If we cut green and leave a trash blanket on the ground it makes it very hard to irrigate," cane farmer Phil Marano said. "The second reason is we are recognised as growing the biggest crops in Australia and to cut it green is very difficult. "It slows us down to a point where it's almost unviable." 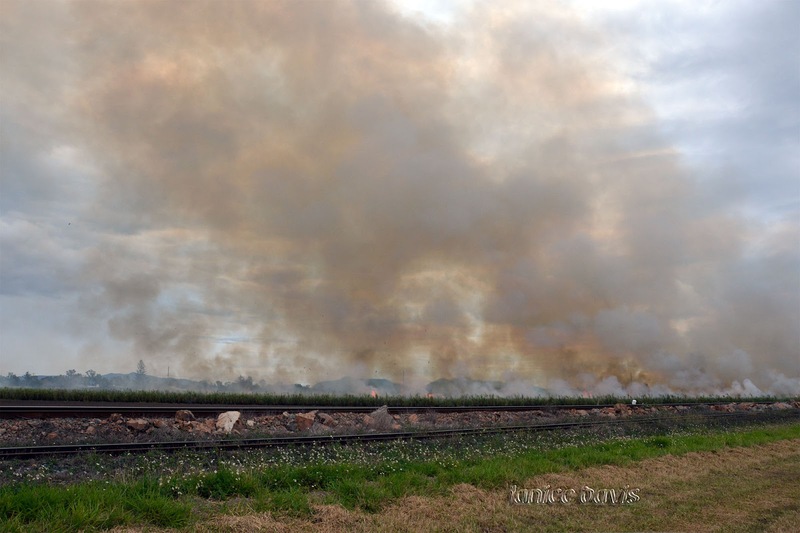 As the flames begin to rise metres tall, ash gets blown across towns throughout the Burdekin. "It's called Burdekin snow," Joe said. "It's black stuff that comes from the fire and it goes all over the cars." More to read at the link below. Wow. What a sight to see. It sure is and rather smoky. ah, I remember the old days when farmers used to do that here. Not so legal any longer. Apparently there was a big debate in Australia years ago re burning of sugarcane but some areas are permitted to burn for various reasons. 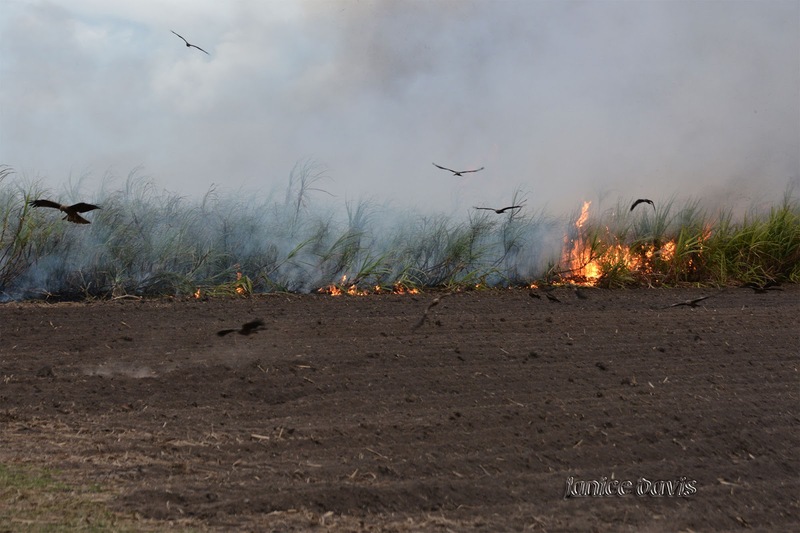 A link to the ABC News re a farmer about the burning of sugarcane. El humo se dispersa en el espacio, formando unas grandes nubes de color...los pájaros huyen espantados. Certainly makes for a grey interesting sky. Lots of smoke and a good idea to stay indoors during the process. The birds fly to catch the snakes, rats and other creatures that live in the sugarcane. I just read a really interesting article about birds of prey actually creating wildfires in Australia. Apparently the Aborigines have known about this practice going back 40,000 years. It seems that the birds will carry off a burning stick and drop it an area of dry grassland to create a fire, thereby driving out small rodents and other prey items for the hawks, who then profit from the feast. Smart birds! The Aboriginals are clever people when it comes to the land in Australia. Birds are also clever like most creatures, they have learnt how to survive all these years. Learning something new! I can well imagine the birds were making the most of the situation. The birds were having a field day. I've heard about the sugar cane burning and been told the smoke smells sweet, did you notice the smell at all? 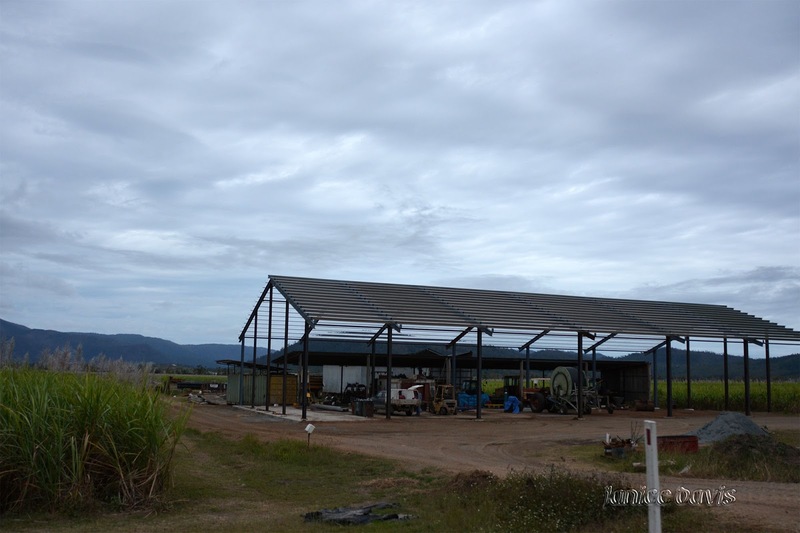 food base (rodents etc) in the cane fields. and the burning off is monitored very strictly. Yes burning of the cane is monitored well. The smell is a nice smell not unpleasant, a little on the sweet side but that depends on your nose at the time. It's an ok place Cairns. At Ayr in 2016 the cane was burning and we had black snow on our vehicle in the morning but it just blew off. Great shots especially the one of the birds and the ire. I didn't think they still do that now that they have improved harvesters. Many people didn't think they burnt the cane these days, but many areas do. in our native village before ploughing for sowing new seeds it was common to burn the remaining parts of plants on the ground .